You've only got one spine. Take care of it with chiropractic support. We provide chiropractic care to relieve injuries, chronic pain, and more. We are here to help you heal and get back to living an active and pain-free life. We’ll talk about diet, supplements, and other steps you can take to improve your health. At Neck & Back Pain Specialists Clinic, we offer a comprehensive approach to wellness and health by focusing on the whole person. If you are struggling with pain, limited mobility, or a poor outlook due to chronic illness, contact our team for advanced care and treatment. We specialize in chiropractic care including treatment for sciatica, herniated discs, and lower back pain. We utilize the latest technology and techniques to give our patients the very best level of care possible. When you visit your Fountain Valley chiropractor in our offices, you’ll be working with a team that’s dedicated to your wellbeing. 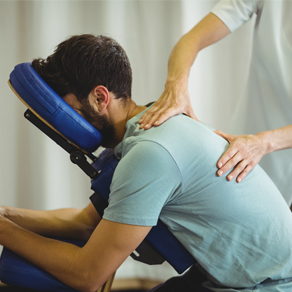 If you are looking for a trusted and experienced chiropractor in Fountain Valley, you’ll find that provider at Neck & Back Pain Specialists Clinic. Dr. Ed Balta founded the practice in this area to provide patients with chiropractic solutions to their specific needs. He has over two decades of experience. With a whole-body approach, he aims to offer a comprehensive treatment plan that addresses the specific needs of each individual patient. If you struggle from pain or limited mobility, we can help you. Dr. Balta and his staff have years of experience working one-on-one with people facing all types of illness and injury. When you visit our offices, we’ll provide a thorough examination and talk to you about the pain you may have. You’ll then work with our staff to create the ideal treatment solution for your individual needs. We aim to balance your pain management needs with overall wellness and health. With chiropractic care, you can feel better even if you have struggled with pain for a long time. Our targeted and advanced solutions can help you to achieve your goals and heal faster. When you call your chiropractor in Fountain Valley for an appointment, you get the care you need to heal and recover. Schedule a consultation with Neck & Back Pain Specialists Clinic now! Dr. Ed Balta is a Fountain Valley chiropractor who serves Fountain Valley and the surrounding communities in CA . "I have been living with back pain for over 20 years. The professional and freindly staff cares to my needs and helps me to regulate and diminish that pain. The result has caused my quality of life to increase tremendously. And best of all they accept my insurance!" "Dr Balta and Dr Stuart were so great! Before I came here I had neck pain and could only look one direction. After visiting with the Doctors here my neck was completely fixed! I love them"
"Came in with pain in the lower back. Dr. Balta and Dr. Stuart helped ease the pain and continue to do a very good job on helping me get back to doing my daily activities. His entire staff is very accommodating and will work with you on any problems you may have."